The X7, shown in concept form, is expected to come in six-cylinder and eight-cylinder versions. BMW envisions its large three-row SUV as a plug-in hybrid that will break new ground in the large luxury utility segment. 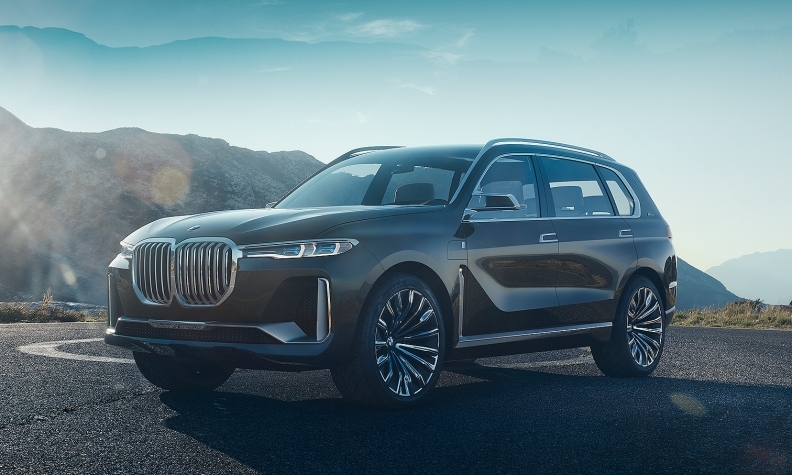 The automaker is releasing details on the six-seat BMW Concept X7 iPerformance ahead of the Sept. 14-24 Frankfurt auto show, where it will be formally unveiled to journalists. The concept teases the production X7 that BMW will launch in 2018. BMW executives have said the X7 will go on sale in the Canadian and U.S. markets in early 2019. The long-awaited X7 is part of BMW's wave of new and redesigned crossovers and SUVs, and it will expand the brand upward and finally give BMW a full-size SUV/crossover to match up against rivals. In a North American market that has shifted to light trucks of all sizes, BMW lags behind competitors such as Mercedes-Benz, which sells about 30,000 large GLS SUVs annually in the United States alone. U.S. sales of large, premium SUVs increased 6.1 per cent last year and have risen another 3.3 per cent this year through August, while the overall market has cooled. The segment is dominated by the Mercedes GLS, Cadillac Escalade and Escalade ESV, Range Rover and Range Rover Sport, Infiniti QX80 and Lincoln Navigator. The X7 is expected to come in six-cylinder and eight-cylinder versions. There has been speculation about a possible 12-cylinder performance version. For the Concept X7, few details are given about the powertrain other than to say it is a plug-in hybrid featuring a BMW TwinPower turbocharged gasoline engine. It can run with zero local emissions, BMW said. The concept also features a front end with an extra-tall vertical kidney grille. It "hogs the attention," BMW says of the new grille design. 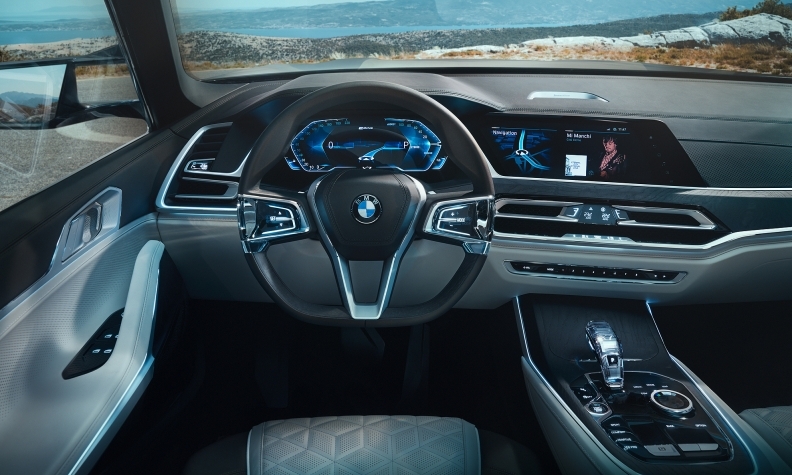 The production X7 will play a key role in expanding BMW's sales and revenue in the luxury segment, Ian Robertson, BMW board member responsible for sales and the BMW brand, said in a statement. "Since BMW founded the sports activity vehicle segment with the first X5 back in 1999, every subsequent X vehicle has broken new ground. The BMW X7 continues this tradition," Robertson said. 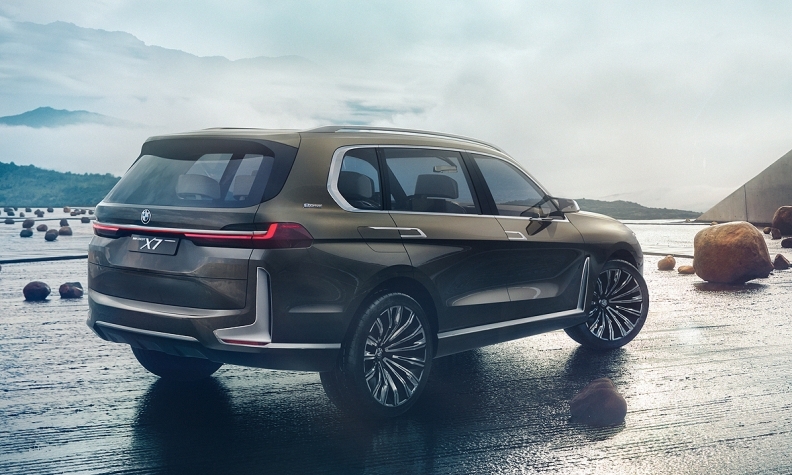 In addition to extending the automaker's luxury class presence, "the BMW Concept X7 demonstrates it's perfectly possible to combine a large sports activity vehicle with an electrified drivetrain." Electrification is a big part of BMW's future strategy. The company announced Thursday that it would offer 25 electrified vehicles, including 12 full-fledged EVs, by 2025. BMW will showcase a new four-door electric vehicle at the Frankfurt show. BMW CEO Harald Krueger said the company's EVs will have a range of up to 435 miles.